← Overwatch – or, where has my hacking time gone? The DEF CON Black Badge that Clayton Dorsey and myself won arrived last month, so I can finally blog about it! I apologize for just now posting this in 2018, but I wasn't able to publish it sooner. 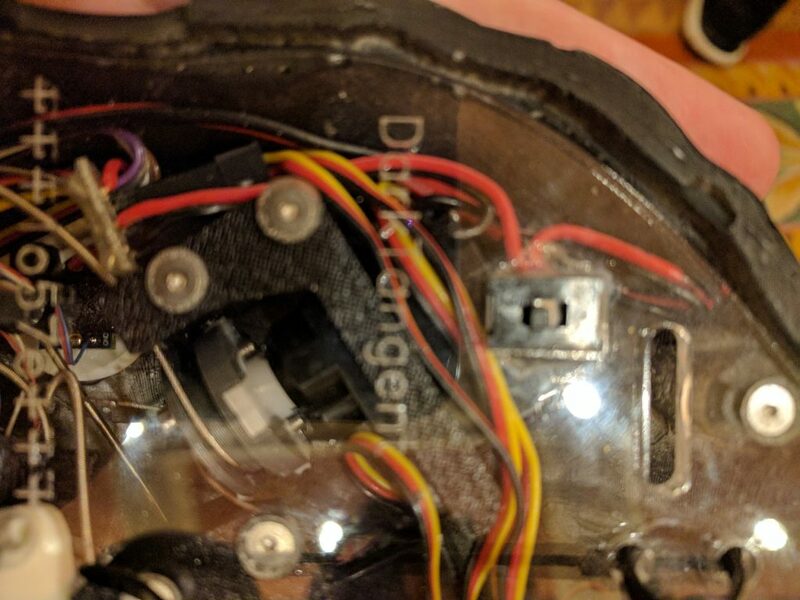 First, there was an embargo on this post due to my previous employer and some questions about the badge. Next, I wanted to get it again to take some more pictures and notes on it. After that I (briefly) attempted to solve one of the challenges, but didn't get that far. Finally, I ended up being busy, posting other stuff, and generally forgetful. That said, this post is finally published, so hopefully you enjoy it! 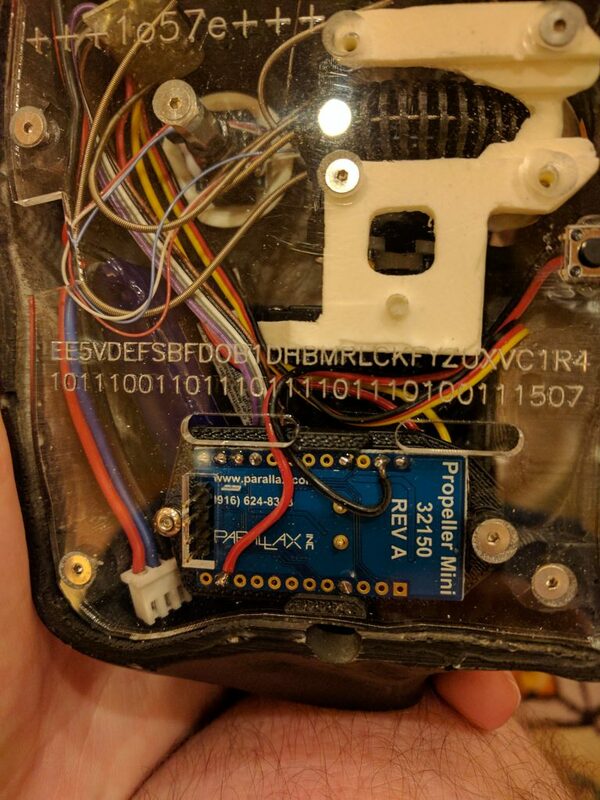 If you did not know, we won a black badge from the SoHopelessly Broken CTF at DEF CON 24. This contest was, and still is, sponsored by ISE. It is a great competition, and we had a ton of fun competing in it. By the end of the conference, we found out that we would be receiving a black badge for our victory! 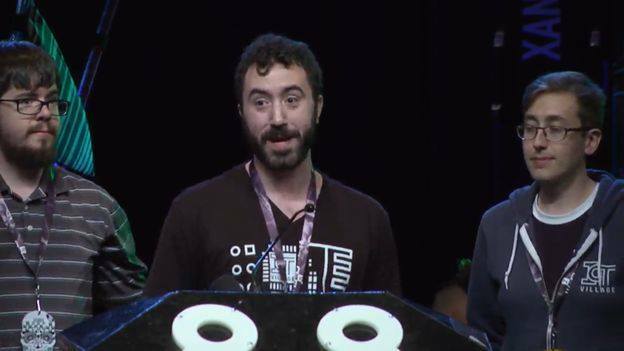 Finally, on Sunday, Clayton, myself, and Sean went on stage during the closing ceremonies. It was crazy being up there, especially with that many people watching. That said, we gave a short speech, talked about the competition, and received our award. We only got to see one of the demo badges that day, as we had to wait for DEF CON to ship out the rest. That said, a few months later, it arrived in the mail! On the back of the badge were DT and Lost's names. 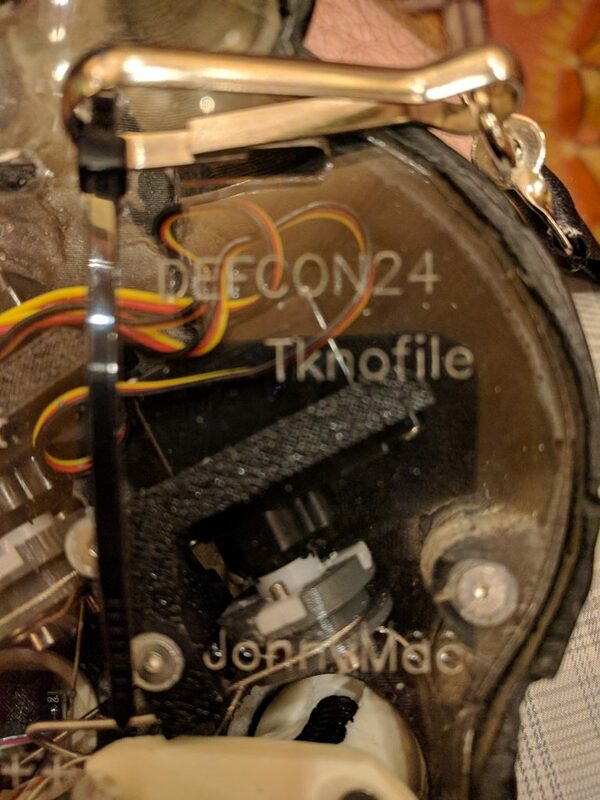 Additionally, on the other side, shout-outs to DEF CON 24, Tknofile, and JonnyMac. Finally, at the very bottom, were some badge puzzles. The first puzzle looked hex encoded, with a different dictionary, but I couldn't get anything useful out of it. The second puzzle looked like simple binary code. Unfortunately, even brute-forcing all binary strings of that length gave me nothing. I also thought that it might be out-of-order, based on the fact that Lost (1507) was slightly out-of-order as well. If you have any hints, or solutions for these puzzles, then please let me know! This is also a working badge, so here is a quick video of it in action! This was actually designed by special effects artist Rick Galinson along with 1o57, so it was an awesome one. While I wish I could have shared this sooner, it was still an incredible honor. I love the badge, and it is super convenient only having to share it between two people. That said, in the meantime, I was on yet another black badge winning team! Team "What does the Fox Say?" 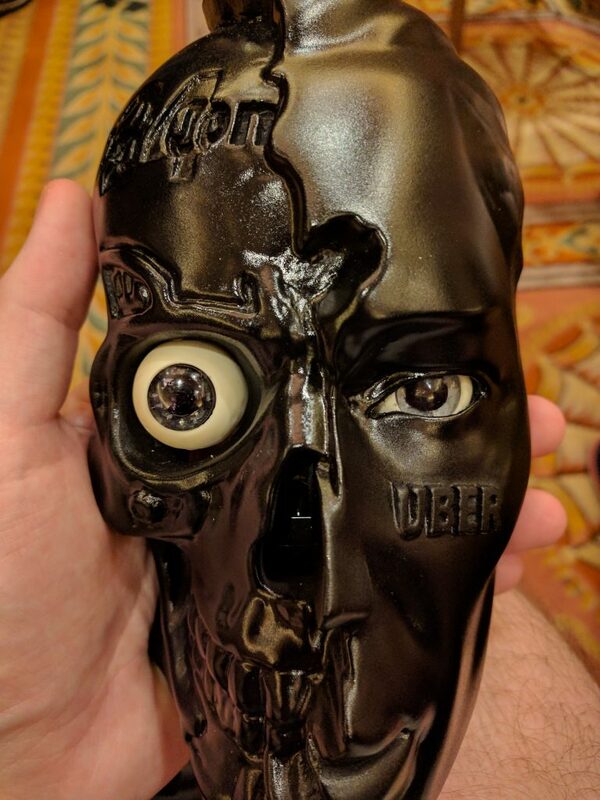 won the Wireless CTF at DEF CON 25. We (well, one of us per year) now get free entry for life, and get to keep that awesome badge. 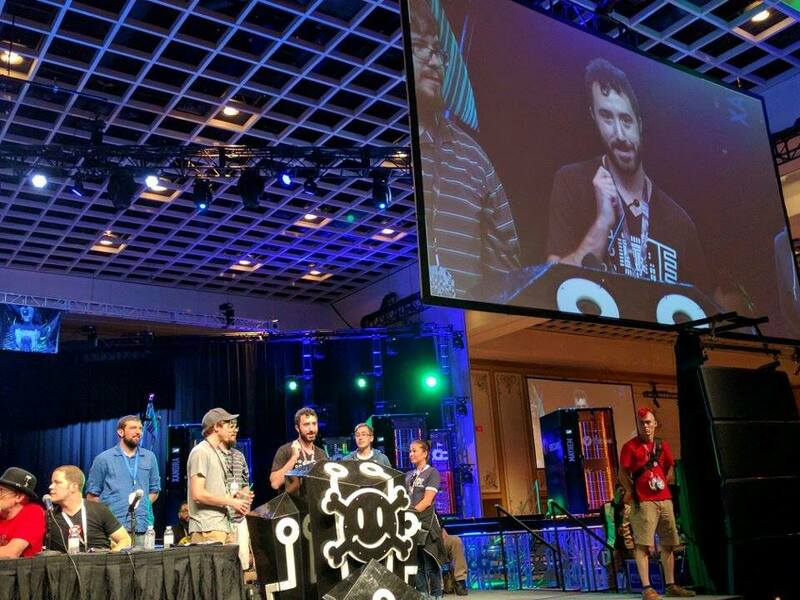 Other than that, we're also enshrined on the DEF CON black badge winners page!